Death Note Character Posters For Light And L Reveal Show's Style - Are You Screening? 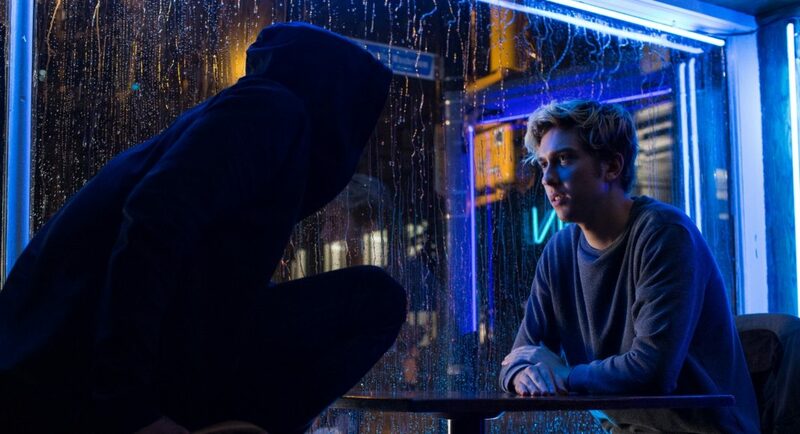 Death Note is coming to Netflix on August 25th and those in the know probably aren’t looking forward to anything more. 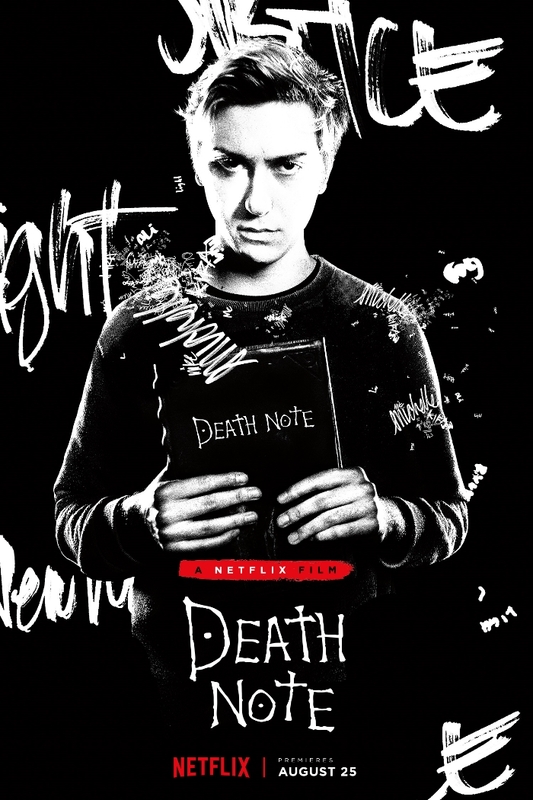 Based on the manga (and anime) of the same name, Death Note is the story of Light, a teenager who finds a notebook that will cause the death of anyone whose name he writes in it, as long as he has seen their face. It’s a story that could easily go wrong, but if it’s put together right it has the potential to win over fans in droves. The manga, by Tsugumi Ohba and Takeshi Obata, is a complex character study that dives into a variety of moral questions in the darkest and most dramatic way, while remaining a wild, thoroughly fun story. Light, as one might imagine, I suppose, quickly figures out the kind of power he wields, and decides to start using the notebook with almost reckless abandon, hoping to recreate the world by getting rid of anyone he doesn’t think deserves to live. Things get very complicated as the world eventually figures out that the deaths have some kind of force behind them, and master detective L begins the hunt for Kira, as Light comes to be known. As things progress, Light ultimately joins L, and the anti-Kira force he puts together, hoping to learn enough about L to write his name in the book. Then things get really wild. 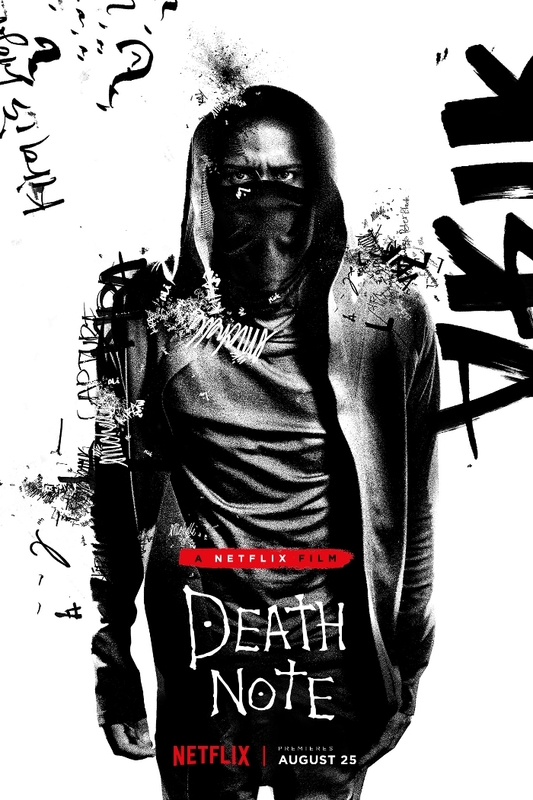 Death Note is directed by Adam Wingard (Blair Witch, You’re Next) and stars Nat Wolff (Paper Towns), Margaret Qualley (The Leftovers), Lakeith Stanfield (Get Out), Paul Nakauchi (Pirates of the Caribbean: At World’s End), Shea Whigham (American Hustle) and Willem Dafoe (Spider-Man) as the voice of Ryuk. Take a look below and keep this one on your radar.